Kriknak Item Builds Guide for Arena of Valor (AoV). Each build is geared toward a different play style, so choose one that fits your personal preference. Leviathan While Leviathan was great for Kriknak pre-patch 14, Soulreaver now fits the Scarabim better in our opinion, for a few reasons. First, Kriknak’s abilities scale off of additional attack damage, which is different from most other heroes, who scale off of their base AD. 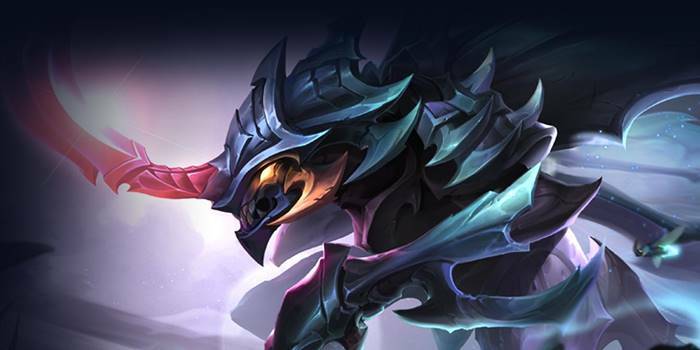 That means he’ll need at least 1-2 items that boost his attack damage, or else you’ll feel like you’re attacking with a wet noodle – and as the jungler, you’re better off getting those items first so that you can snipe opponents off in the early game. Second, the 15% cooldown reduction you gain will have you spamming out abilities, particularly if you can land an attack after Terrifying Plague. Spear of Longinus Kriknak can apply several armor reducing stacks on to his enemies extremely quickly. The health, cooldown speed, and attack stats that the item offers are also valuable additions to Kriknak’s kit, furthering the item’s value. Muramasa Muramasa is for when the enemy is stacking armor like there’s no tomorrow. Given that it slashes through a percentage of the enemy’s armor instead of a set amount, the more armor the opponent gets, the more potent of an item it is. Omni Arms Omni Arms adds a third damage buff to enemies marked with Mark of Horror, in addition to the wealth of other stats it provides. Just be aware that Frost Cape’s passive and Omni Arms’ passive don’t stack. Hercules’ Madness A powerful second wind whenever Kriknak’s health falls low, Hercules is a fairly common hybrid item for warriors. As the game goes on, Kriknak will often need to transition into playing more like a warrior than an assassin. Hercules’ Madness gives him a bit extra durability without heavy sacrifice to his damage. Frost Cape Frost Cape blends very well with Kriknak’s playstyle. Its defensive stats will help keep him alive in skirmishes and the passive freeze stacks nicely with his passive low cooldowns. The slow it provides will additionally make it harder for enemies to escape. Medallion of Troy Medallion of Troy is a very powerful defensive item that protects the user from magic damage. Despite its nearly pure defensive nature, the survivability it provides goes a long way in keeping Kriknak up in fights. The cooldown reduction it offers will also have him using abilities more frequently and thereby contributing all the more to his team. Gilded Greaves Crowd control can be a big problem to mobile heroes like Kriknak, so Gilded Greaves can be a good choice when it comes to upgrading boots. Being able to slip out of stuns and slows more quickly will keep Kriknak from being roped out of fights for too long. Sonic Boots Sonic Boots is for when the enemy’s marksmen or warriors are giving you too much trouble. The armor and damage reduction are much more effective than many think and will often be what separates an overly aggressive Kriknak from an early death. You asked for this, Tencent. In the August 2018 patch, the developers leaned in on Kriknak’s scaling with “additional attack damage,” leading us to create this monstrosity of a build. Even including the somewhat defensive Blade of Eternity at the end, Kriknak will be hitting like a…wait, what hits harder than a truck? Because he’ll definitely hit harder than a truck. In fact, due to the triple bonus Kriknak will get from Omni Arms, his Bite passive, and the Mark of Horror, attacking after using Terrifying Plague will do a disgusting 3976 damage before counting armor (assuming the opponent has 6000 health, since you’ll be targeting squishies). And that’s not including the Fenrir’s Tooth passive OR any Arcana. Meanwhile, Drone Drop will do 3756 damage, Horn Rush will do 2571 and heal for 700 per hero, and Terrifying Plague itself will do 2649 (again, not including Fenrir’s Tooth or Arcana). Other perks to the build include 25% CDR, two revives, and even more speed when rotating with Rankbreaker. The CDR and speed will hopefully allow you to clean up any and all comers with your ridiculous damage before you dash away to safety. We focus here on a balance of offensive and defensive stats. Rankbreaker and Fenrir’s Tooth make up the lion’s share of offensive stats, offering up respectable amounts of damage along with a few aggressive passive effects. Frost Cape and Hercules’ Madness take hybrid roles, both bolstering Kriknak’s defense and possessing aggressive passives. Leviathan and Sonic Boots stand as his fully defensive choices, raising up his health and armor so that he can safely pierce the enemy lines. We lean on the damage from Soulreaver and Spear of Longinus to help snowball the early game into our favor. Even if you’re unsuccessful in a gank, these two items will ensure lightning-fast jungling speed with the 30% CDR and high damage output. We continue into Frost Cape to hit the 40% CDR cap (remember not to use any CDR Arcana with this build) while providing us the utility of its passive as well as a nice defensive boost in the mid game. Finishing off, Hercules’ Madness and Blade of Eternity are two nice panic buttons to hit when Kriknak gets low, allowing him to finish off the fights he started. If the enemy team has a high amount of magic damage, replace Frost Cape with Medallion of Troy or Gaia’s Standard. Do you think Kriknak would benefit from Mantle of Ra with leviathan, or would another item offer more use? WOW. The “Nuclear Option” build is going to be an absolute monster in the hands of a Kriknak god. I’d personally remove Rankbreaker for Spear of Longinus because you get 10% movement speed, armor pierce and AD from Onslaught, Assassinate, and Skewer anyways and 40% CD is totally worth it for me. One could also replace Blade of Eternity for Hercules Madness… no, I take that back, Blade of Eternity is definitely the way to go. This build is insane, and I’m going to get some friends to try it out. Thank you for this build!